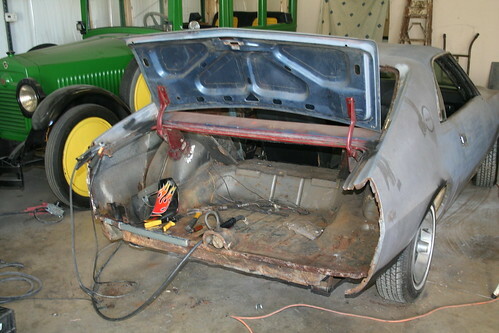 This Phase covers the removal and installation of the new sheet metal on our 1969 AMC AMX Go-Pack 390 car. 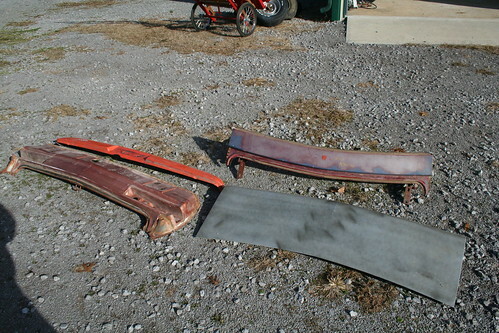 All of the replacement sheet metal was acquired from a junk yard Arizona. 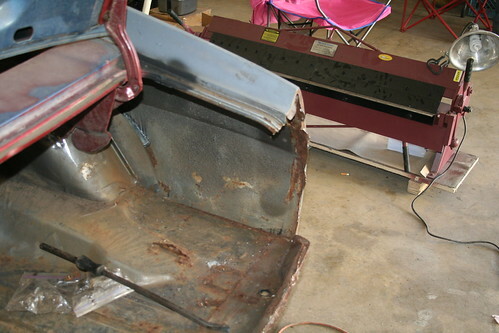 This ensured that all of the parts were rust free. Here are the replacement parts. 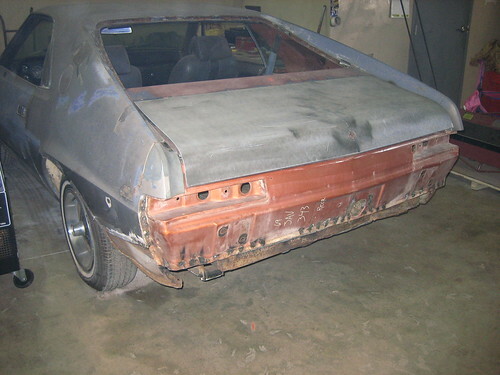 From lower left to right: rear tail light housing panel, rear splash pan, divider panel between rear window and trunk (includes trunk hinges), trunk. 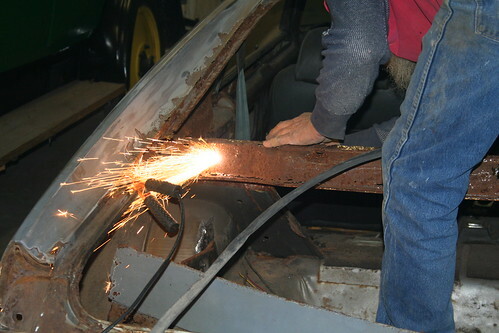 Here the body shop is using the wonderful plasma cutter. This sure beats a cut off wheel but boy could I ever create a mess with one of these. It cuts like a hot knife through butter. 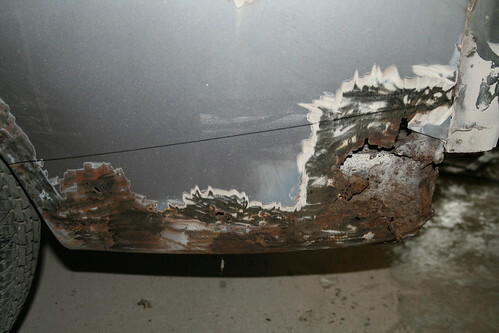 The rusted area of this rear quarter panel is marked for replacement. 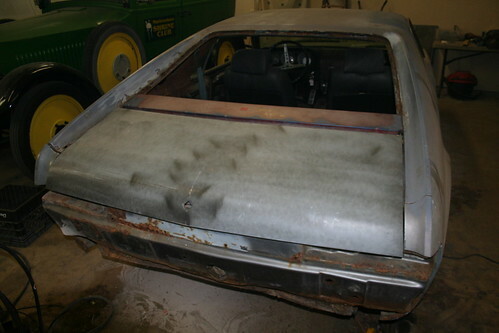 The new panels have been made and installed on the passenger’s side. 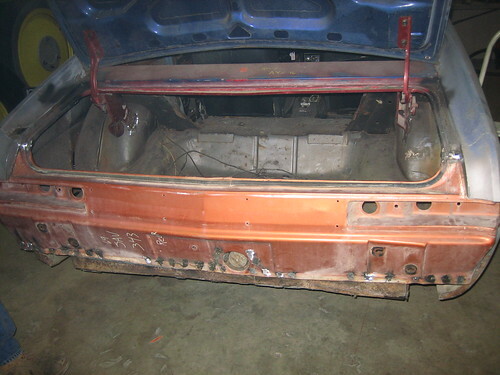 The new panel is test fit and tacked into place. 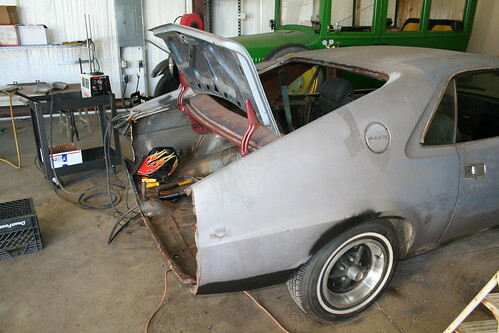 The trunk is not yet bolted down but is put in place for a quick test fit. 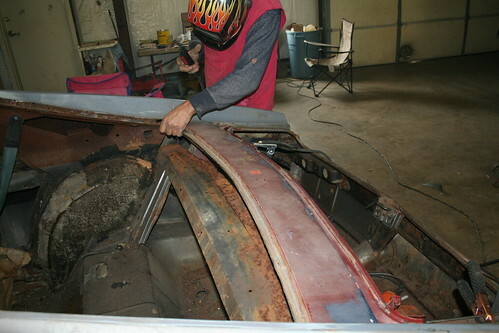 The window chanel rust was cut out and replaced. 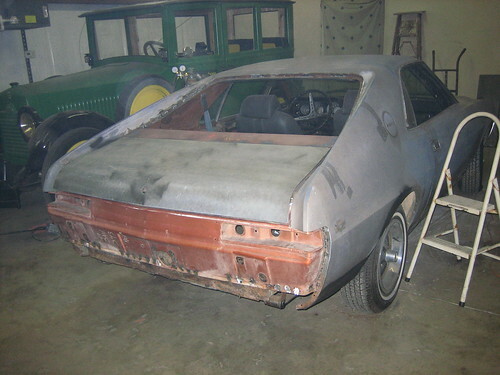 The rear tail light panel was removed. 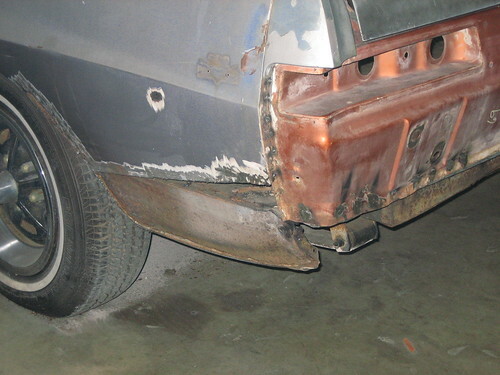 The used rust free Arizona panel was installed. 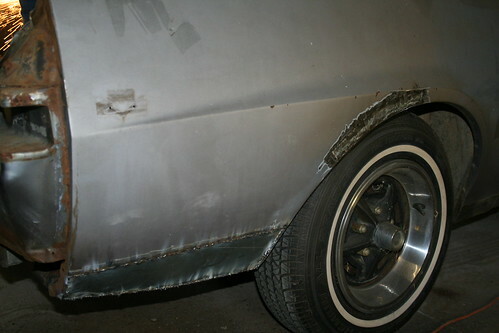 A new patch panel was made for the lower fender and installed. It is not yet installed in this photo. 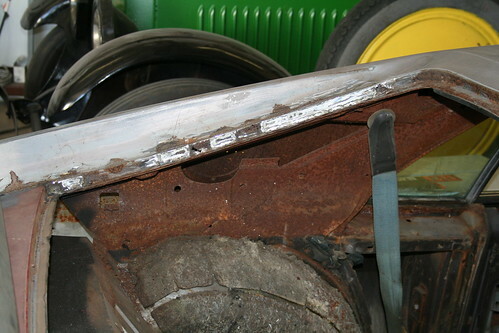 The inner skin is visible after the outer skin was cut away.